Avoiding Arthritis–Related Depression and Anxiety – Osteoarthritis Center – EverydayHealth.com. What you can do to keep depression and anxiety away when you’re dealing with arthritis pain. The word arthritis literally means “fire in the joints.” No doubt, day-to-day arthritis pain will inevitably take a toll on your spirit. Almost everyone with chronic pain has mood changes, and about 30 percent become depressed, according to the National Pain Foundation. Depression, in turn, can increase arthritis pain. Similarly, the anxiety that dealing with a chronic condition can cause may negatively affect your perception of pain. Here’s a rundown of anxiety and depression symptoms and what experts advise as part of your arthritis treatment to keep symptoms at bay. Anxiety. “An anxiety disorder is a fear of fear,” says Mahmoud Ahmed, MD, a psychiatrist at Marshfield Clinic at Sacred Heart Hospital in Eau Claire, Wisc. “There’s an overwhelming feeling that something bad is going to happen. The person is preoccupied with unreasonable fear.” The anxiety can be generalized, from worrying about finances to relationships, or it can result in panic attacks. Some people with anxiety, when confronted with certain situations, experience severe physical symptoms, such as a pounding heart, or a sense that they’re going to die, Dr. Ahmed says. Having arthritis pain leaves ample room for anxiety. You may fear losing your job over limitations caused by arthritis, or you may worry that certain activities could increase your pain, like taking walks or playing golf. Depression. When arthritis pain gets very bad, some patients have reported that it can feel “akin to a death sentence,” Ahmed says. 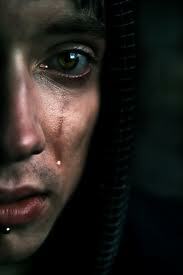 When those feelings lead to depression, you may feel sad, worthless, helpless, hopeless, irritable, restless, and tired. You may find you’re not interested in some of the things you once did. You may have trouble concentrating and making decisions, find yourself eating too much or too little, or that you either can’t sleep or sleep too much. Some people with depression contemplate or attempt suicide. Manage your arthritis pain. Anxiety and depression often follow chronic pain, so your first priority should be pain management, says Jackson Rainer, PhD, a psychologist who specializes in arthritis and dean of the graduate school at Gardner Webb University in Boiling Springs, N.C. A rheumatologist or pain specialist can help you find the right combination of medications and lifestyle changes to keep your arthritis symptoms in control. Talk to a psychotherapist. Sometimes having arthritis pain leads to insomnia and to distorted thinking, Ahmed says. You may avoid getting together with friends because you don’t want them to see you when you’re irritable. Or you may not want your family members to see you when you can’t participate in your usual activities due to arthritis pain. A therapist can help change the way you think about arthritis so you can enjoy life, Ahmed says. Consider taking an antidepressant. Research has found that taking a selective serotonin reuptake inhibitor (SSRI), a type of antidepressant that helps your mood by allowing more of the neurotransmitter serotonin to circulate in your brain, makes pain medication more effective in certain patients, Dr. Rainer says. Rainer says he too has seen an improvement in his arthritis patients who take an SSRI along with a pain medication. SSRIs include fluoxetine (Prozac), sertraline (Zoloft), paroxetine (Paxil), escitalopram (Lexapro), fluvoxamine (Luvox) and citalopram (Celexa). Ahmed believes in being conservative in prescribing antidepressants, however, because every drug has side effects and could interact with other medications you’re taking. Work with your doctor in deciding if an antidepressant is right for you. Get moving. Exercise can help to improve your mood and ease arthritis pain when it’s done within your physical limitations, so view it as an integral part of your arthritis treatment by exercising at least every other day, Rainer says. And choose activities that are comfortable for your body, such as water aerobics, swimming, tai chi, yoga, or simply walking short distances at a time. If you have more advanced arthritis, physical therapy can help keep you in motion. Banish stress. Stress can add to arthritis pain. Ahmed advises his patients to remove as much stress from their lives as possible: try to get enough sleep, clear out an overscheduled calendar, and do what it takes to make your life simpler. That may mean accepting just 1 invitation instead of the 10 you receive over the holidays, and learning to say no when there are too many demands on your time. Hang on to the things you love. Of course, your ultimate arthritis treatment goal is to lead a full, satisfying life. So, you might need to make adjustments to continue doing the things you want to do. If arthritis pain keeps you from playing 18 holes of golf, play 9 instead, Ahmed says. Rainer had a patient who wanted to continue working but arthritis pain in her hands made it too difficult to type on the computer, so she installed voice recognition software to cut down on the amount of typing she had to do. Dr. Rainer’s patient wouldn’t let her arthritis pain control her life and neither should you. If you think you might be suffering from symptoms of depression or anxiety, let your doctor know. He or she can help you to get the treatment you need to feel well again. Learn more in the Everyday Health Osteoarthritis Center.